Just a few more days to go until I can take a pregnancy test. I am pretty sure I will get a negative result, so I am not even sure if I will even bother buying a test. I probably will though, just because I like to torture to myself. I decided to distract myself this week, by getting super organized with my coupons. I made up a spread sheet and organizeed the list by product type and expiration date. 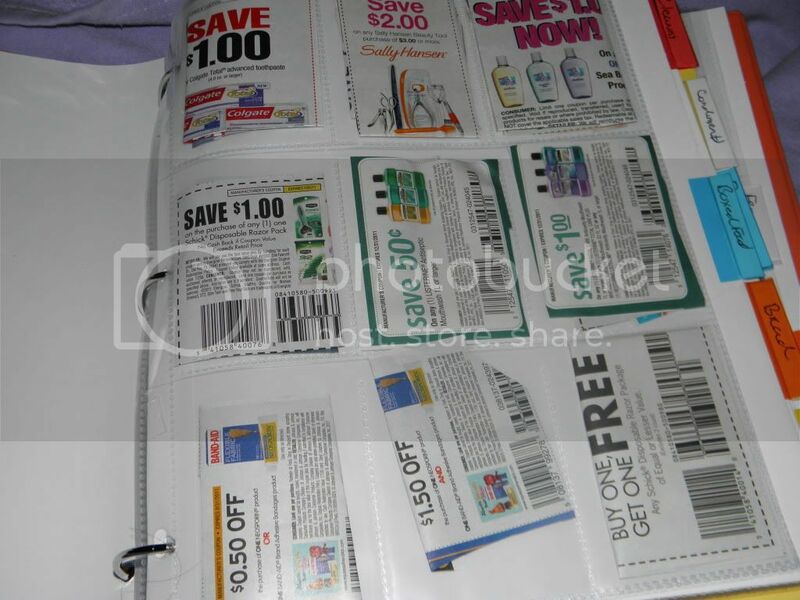 Instead of just throwing the coupons into an envelope I bought a 3 ring binder and organized the coupons by product type. I think that if I actually stuck to my grocery list I wouldn't have spent as much. But I spent $174.38 and saved $47.08. But since I shop at Winn Dixie, the next time fill my fas tank it will be discounted $1.30 a gallon so I think it evens out.